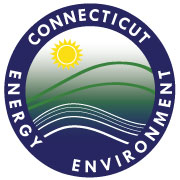 Expand your knowledge of Connecticut's geology with these 18 rock and mineral samples collected by the State Geological and Natural History Survey. Includes garnet, quartz, tourmaline, prehnite, barite, beryl, muscovite, biotite, lepidolite, kyanite, microcline, cleavlandite, schist, gneiss, marble, arkose, granite and basalt. Samples are housed in a sturdy hard plastic case measuring 6-1/2" x 11" and are accompanied by explanatory notes.